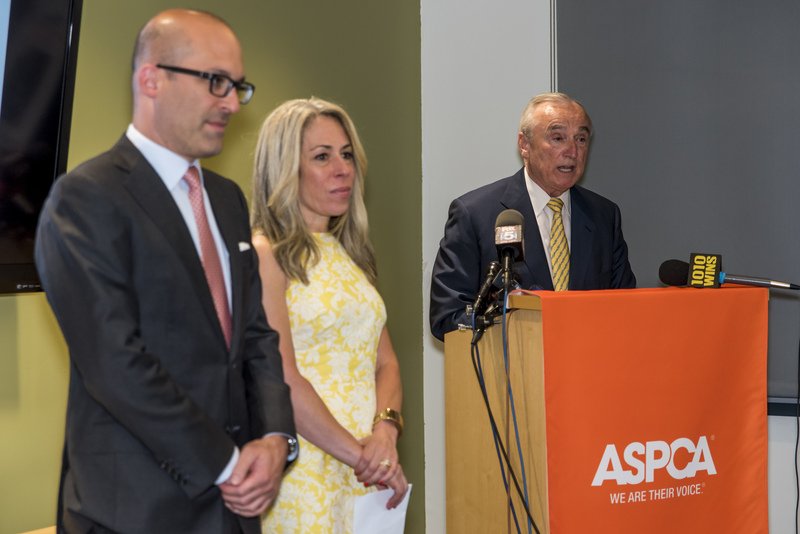 NEW YORK—The ASPCA® (The American Society for the Prevention of Cruelty to Animals®) and the New York City Police Foundation today announced a collaboration through the foundation’s Crime Stoppers program that will, for the first time ever, allow the public to easily and anonymously provide information about animal cruelty crimes in the five boroughs. Crime Stoppers offers rewards of up to $2,500 for tips leading to an arrest and indictment, and starting now that will include animal cruelty cases in New York City. This collaboration is an extension of the official partnership between the NYPD and the ASPCA that was launched in January 2014. 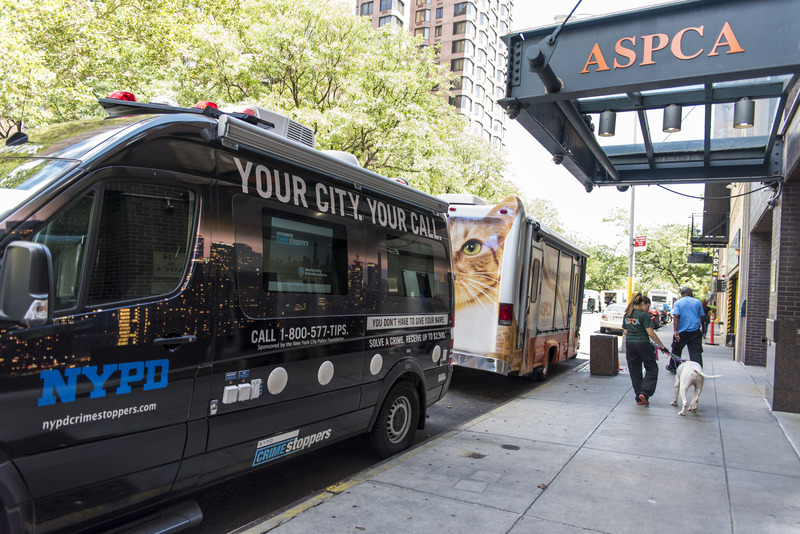 In it, the NYPD takes the lead role in responding to all animal cruelty complaints in the five boroughs and the ASPCA provides direct care support for the victims as well as police training and forensic analysis. A year and a half since its city-wide launch, the NYPD-ASPCA partnership continues to produce record-breaking numbers of both animal cruelty arrests and rescued animals across NYC. In the first six months of 2015, there has been a 28 percent increase in arrests and 115 percent increase in animals treated over the same time period in 2014. For more information on the ASPCA’s efforts to tackle animal cruelty, please visit www.aspca.org. (l-r) Matt Bershadker, President & CEO, ASPCA; Susan L. Birnbaum, President & CEO, NYC Police Foundation; and William J. Bratton, Commissioner, NYPD. 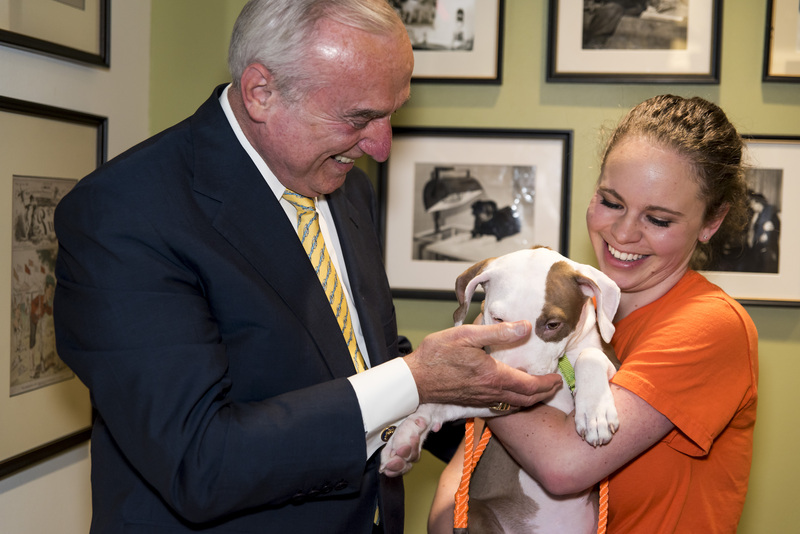 William J. Bratton, Commissioner, NYPD with Scrabble, a five-month old female pit bull mix that was found in an emaciated state by the NYPD and treated at the ASPCA. The Crime Stoppers Van displays animal cruelty tip cases outside the ASPCA.